Consistent stewardship ensures that project goals are met. 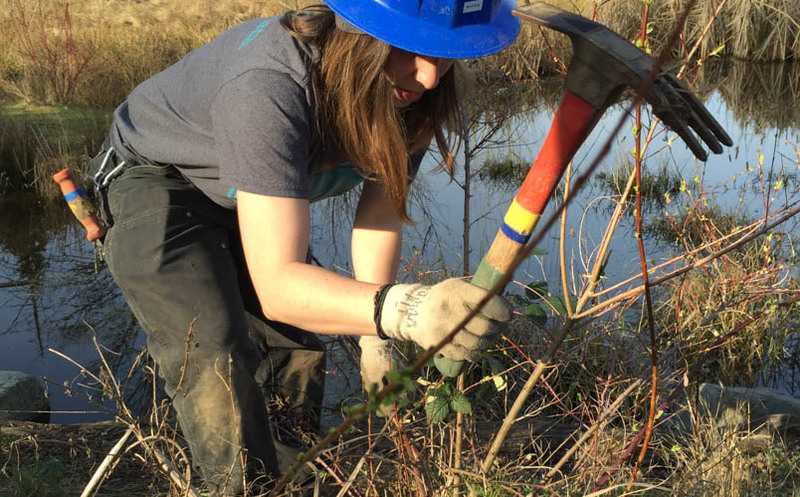 EarthCorps offers short and long term care of project sites to ensure that the project reaches your final project goals and permit requirements. Our staff and crews are trained in species identification and best management practices for a wide variety of both native and invasive plant species. We are equipped to weed, water and as needed add plants, and mulch to planting sites, as well as provide any necessary monitoring and reporting.